Friendly felines in the morning, followed by an easy hike to La Playa. One of the craziest things of our trek was pitching our tents in someone’s back yard! The locals in Challway were all very pleasant, and we had the local cats and dogs paying us visits while we hung out at the local picnic table waiting for grub to be cooked. A very easy hike on gravel roads to La Playa where we camped early and watched a large excavator rebuilding a bridge which had been wiped out by a flash flood. 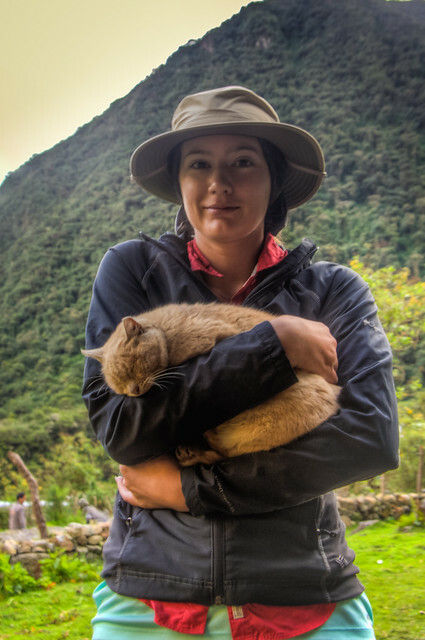 We saw very few cats in Peru, but this cat in Challway was quick to take advantage of cat lovers with warm laps on a very cold morning. Senor Francisco was our hard-working horseman. He helped tear the campsite down each morning, then loaded the mules, took them to the next campsite, unloaded and set up camp again each evening. 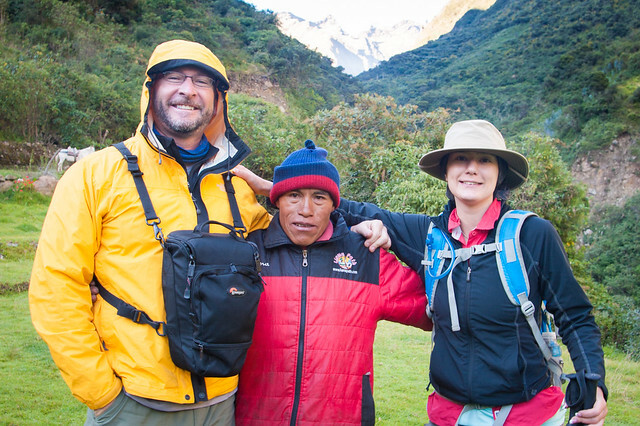 It’s amazing how many of the Peruvian people in the mountains were his size, he didn’t even come up to my shoulder. Here we pose with him as he’s about to part company with us in Challway. 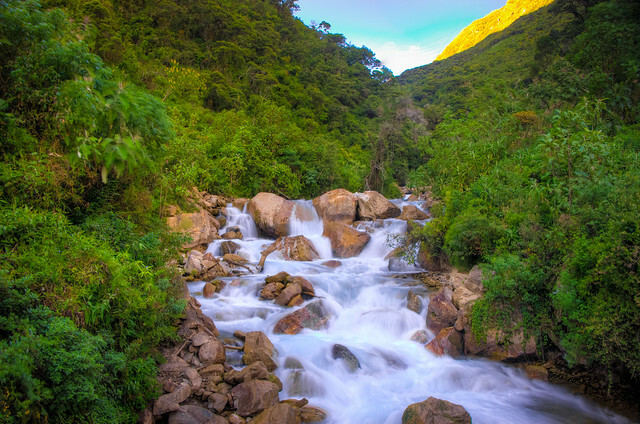 Fast flowing rivers are everywhere in Peru. 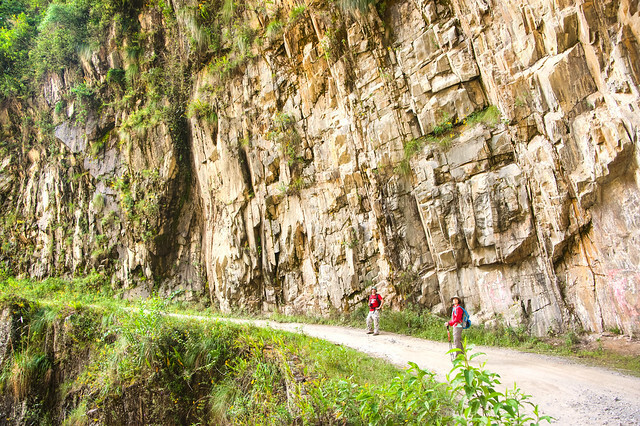 Gabriel mentioned that it’s fairly common for hikers to be killed here in Peru from falling rocks or missteps and plunging off a cliff. 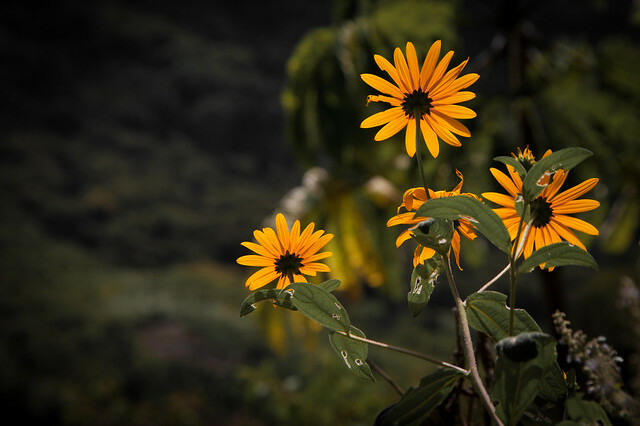 Some beautiful yellow Asters along the roadside between Challway and La Playa. 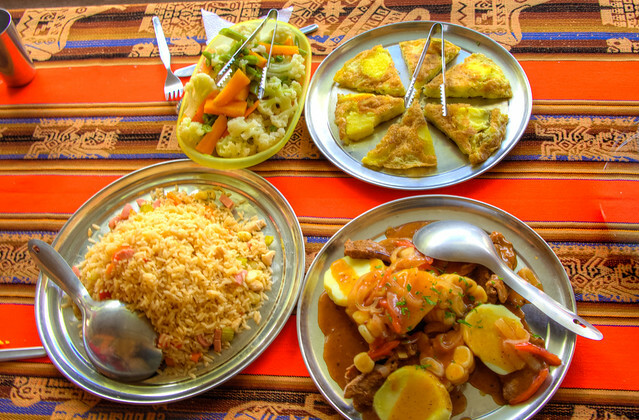 A feast fit for a king awaited us three times a day. Edwin and Armando tore it up in the kitchen like Peruvian Wolfgang Pucks. 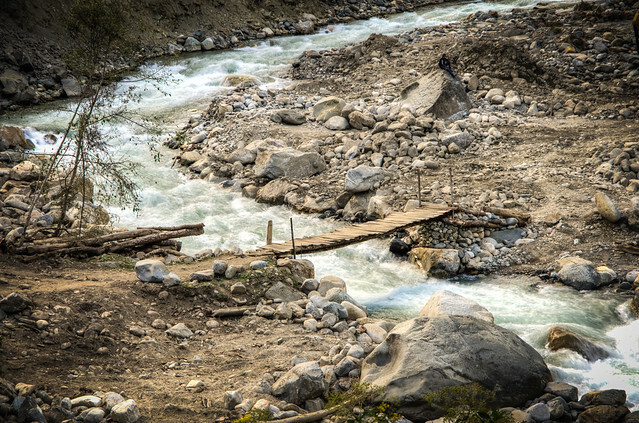 During the rainy season, this river blows away La Playa’s real steel bridge so frequently that the town has it’s own Cat excavator to help rebuild. Many of the people on the other side of the river have cars that they have to leave on this side of the river and walk across this sketchy little bridge to get home. In Peru, they use things until they’re all used up. 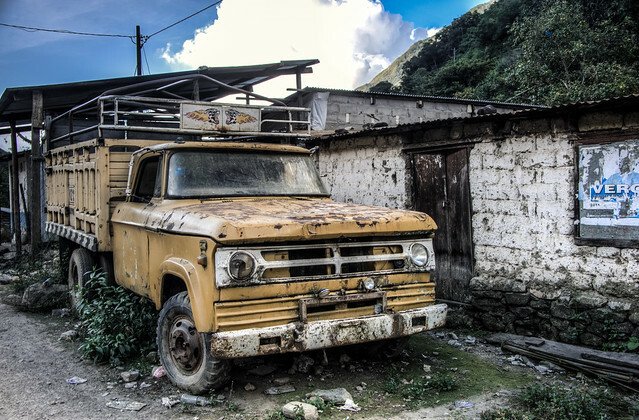 This truck in La Playa has seen better days. 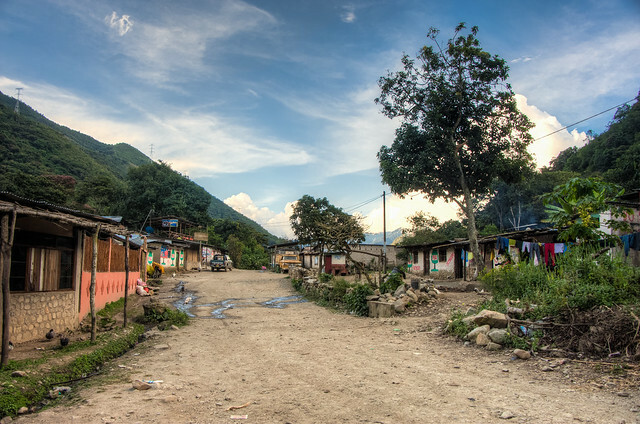 La Playa is a pretty indicative portrait of the Peruvian mountain towns we came across.